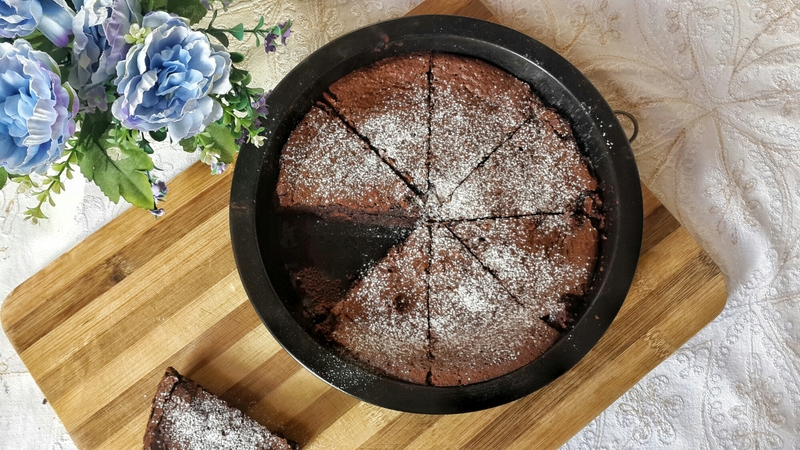 Flourless Chocolate Cake Recipe: A Sweet Escape! – When In Beirut! If this is your motto in life as well, you’ve come to the right place! 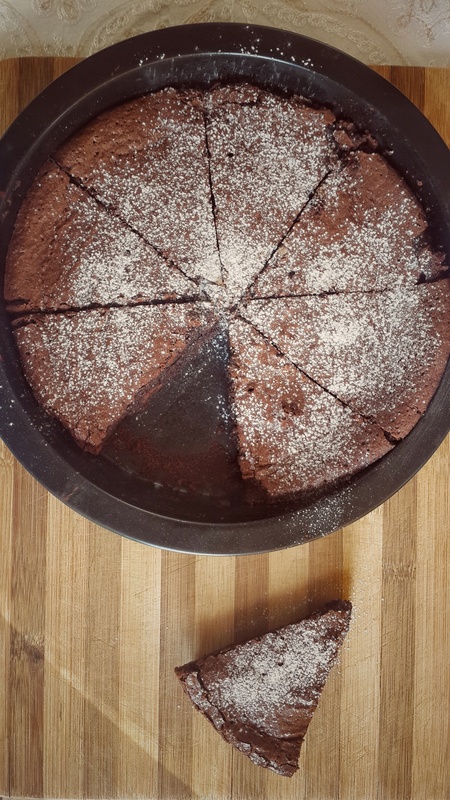 Today I’ll be sharing with you one of my favourite dessert recipe, the flourless chocolate cake! Yes, that’s right, flourless! It’s a very easy and simple treat with minimal ingredients that you can do anytime and anywhere (as long as there’s an oven of course). It will give you a big dose of warmth and happiness that will leave you smiling all day! Without further ado, here’s the recipe for magic! Beat the eggs, sugar and vanilla. Melt the chocolate and the butter then slowly incorporate to the above mix. Mix well till you get a smooth consistency. Pour in a 20 cm greased pan and bake in a preheated oven at 150 degrees Celsius for 30 minutes. Be careful not to overcook it or else you’ll have yourself a dry brownie! It should stay fudgy on the inside. For more fun, you can sprinkle some powdered sugar for decoration and serve it with vanilla ice cream or some whipped cream on top. I hope you liked this amazing chocolaty treat and please do share your versions once you do it!